What a week. I would like to have another few days of my weekend but alas it is Monday again tomorrow. It's been a rough one. I am super tired and not feeling my best. Unfortunately, this week has not bought the best of news for me health wise. I have been diagnosed with Polycystic Ovary Syndrome (PCOS). Basically its not a big deal but it makes my periods irregular, it can be a bit painful and makes conceiving a little more difficult. So we are a bit bummed by the news. But such is life and you have to pick yourself up and carry on. Because of this my hormones are up the creek. I honestly feel so sorry for the husband. Mani has been so great though and hats off to him for putting up with an irritiable, irrational, grumpy, emotional and fatigued wife who has not been much use these past few days. I have found, that to relax me and cope with feeling a bit down I have been drinking more tea (and maybe eating more chocolate) than normal. I ♥ rooibos tea so much, as soon as I see my little jar of teabags depleting I make sure we have another box ready to fill it up. I also love fruit tea, peppermint and lemon and ginger. 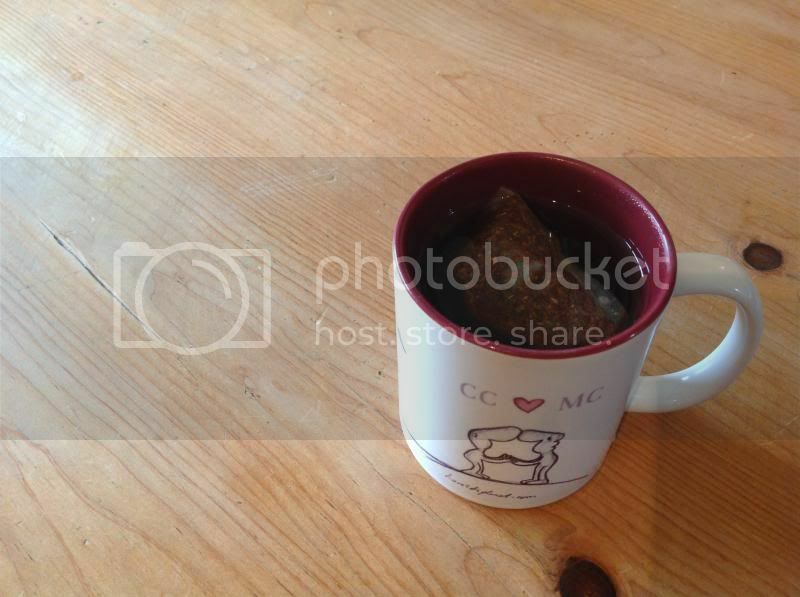 But by far, my favourite is rooibos (known as redbush in the UK). It is best just as it is with no milk or sugar, in my opinion. And must of course be twinned with a treat such as homemade bakes such as dream bars or blondies or a good old biscuit. 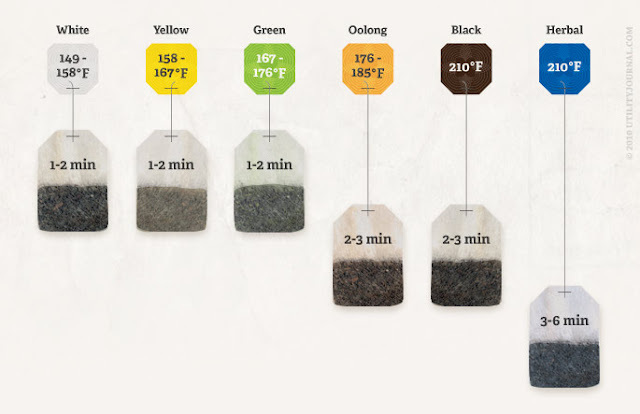 I found this brilliant little tea chart over at Utility Journal if you are interested in brewing the perfect cup of tea. All of these goings on have also made me more aware of my health and being healthy. I am generally a healthy and fit person but one thing I am bad at is eating breakfast. I found out that it is quite easy to make your own granola thanks to the lovely Ffion over at Give Me Magical so I had a go this afternoon and it is delicious. Check back here later this week for a recipe. Seriously - it is super quick and versatile. And I love granola with yoghurt and fruit for breakfast. p.s. don't you love my mug? I got it over at Harold's Planet!